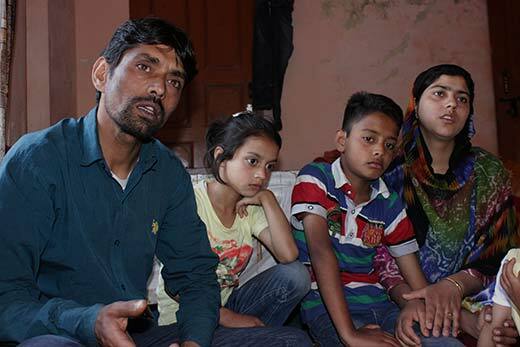 In May 2015, after 19 years of wait, when a judge in Jammu Court told Riyaz Ahmed Hajji: Tum ab ba-izzat barri (You are freed honourably), he couldn’t help but think whether to rejoice or curse his luck. He had just one question on his mind: What about 19 years of my life that I spent inside jails. Riyaz was jailed for his allegedly involvement in terrorism activities along with a Pakistani national, Syed Sajjad Bukhari. Both have been exonerated of all charges but Bukhari was slapped with PSA and kept under ‘preventive custody in Sangrur, Punjab. In 1995, Riyaz and Bukhari were arrested at two separate places at two different times. Bukhari, then a teenager, a resident of Pakistan occupied Kashmir had perhaps crossed the border recently was arrested in the interiors of Qamarwari, Srinagar. A few days later, the army cordoned off the Fruit Mandi area in Parimpora and rounded up youngsters for an identification parade. “We lived in a different era then. Anybody was picked up or shot at and you could not question or ask for any explanation,” says Riyaz. During 90s army cordoning off areas and making men – young and old – to parade in front of an army vehicle was almost a daily exercise. Inside the vehicle they would have informers called Kats, who would blow horn whenever a suspicious person passes by. Riyaz was caught during one such parade. After being singled out by the informer Riyaz, then thirteen, was bundled into an army vehicle along with six others. Before his arrest Riyaz used to support his six member family (two brothers, one sister and parents) by riding an autorikshaw. The memories from that haunted Karan Nagar house seem fresh in Riyaz’s mind. “It was the winter of 1995. They would keep me inside a drum full of cold water for hours. And when my body would get numb they would pass electric current through that drum,” recalls Riyaz. The next stop for Riyaz was Joint Interrogation Centre (JIC) Gupkar. “This place was relatively better as I had already seen worse.” After that he was shifted to CIK, Humhama. “I was much relaxed there…Tatyuk interrogation khot ni mei fikrey (That interrogation was nothing for me),” he smiles. Finally in 1997, Riyaz was presented before a City Court. An FIR has been lodged against him for his alleged involvement in terror activities. It was at City Court Srinagar where Riyaz first met Pakistani national Sajjad Bukhari. Surprising both Riyaz and Bukhari were named in a joint FIR. In 1998, Riyaz’s lawyers managed to get him out on bail. He was out on bail till 2008. In a year’s time Riyaz got married to Tabassum. They have a son and a daughter. “Apart from his regular court appearances we were living like any other normal couple,” said Tabassum. But there was more in store for Riyaz. His ‘normal’ life was soon to turn upside down once again. Panthers Party chief Prof Bhim Singh, a Supreme Court lawyer, was fighting for the speedy trial of the foreign prisoners lodged in different jails across India. Under the Apex Court’s directives Sajjad Bukhari, the Pakistan national who shared an FIR with Riyaz, was also considered. Soon Bukhari’s case was shifted to Varanasi. Within no time an arrest warrant was issued against Riyaz in Srinagar too. Riyaz was taken out only when his case was listed for hearing; that too blind folded. “I was told that this barrack is J&K government’s property. They bear all the costs including maintenance, paying the electricity bill, water bills and meals of the inmates,” says Riyaz. Sitting at a corner and looking at his wife’s gloomy face Riyaz has just one question: What was my crime. Why I was made to suffer for 19 years? “They may be the rulers here but my Allah will make them pay,” says Tabassum.